Plans to sketch the Masjid Sultan mosque were scuppered as the building was wrapped in scaffolding and sheets of plastic. 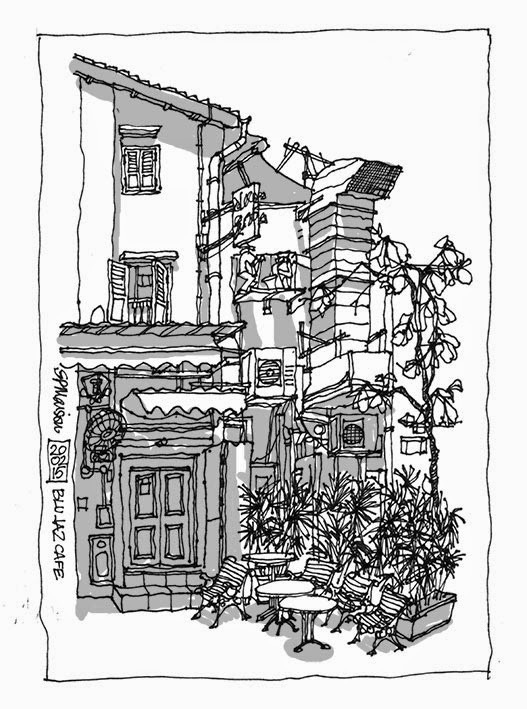 I settled down instead at the back of the Blu Jaz Café to doodle to the accompaniment of music from the Piedra Negra café. Warm sun, a comfy chair, a baguette crammed with brie and a flask of Lavazza coffee. Perfect. 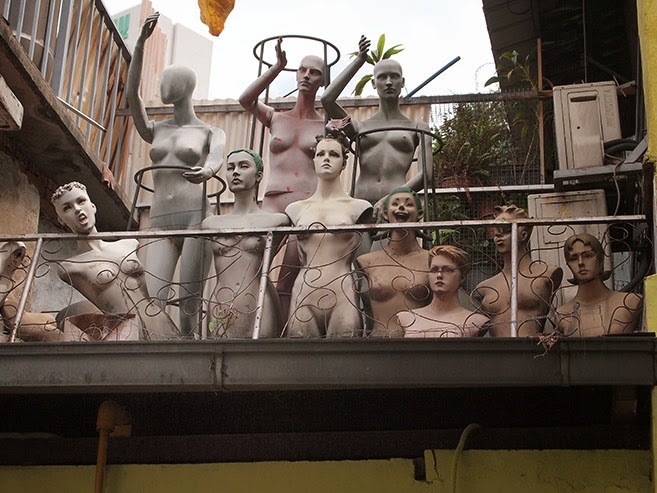 The passers-by that stopped for chats and photos were also pointing their cameras at roof level at the back of the café where a number of naked female mannequins were positioned overlooking the small alley. 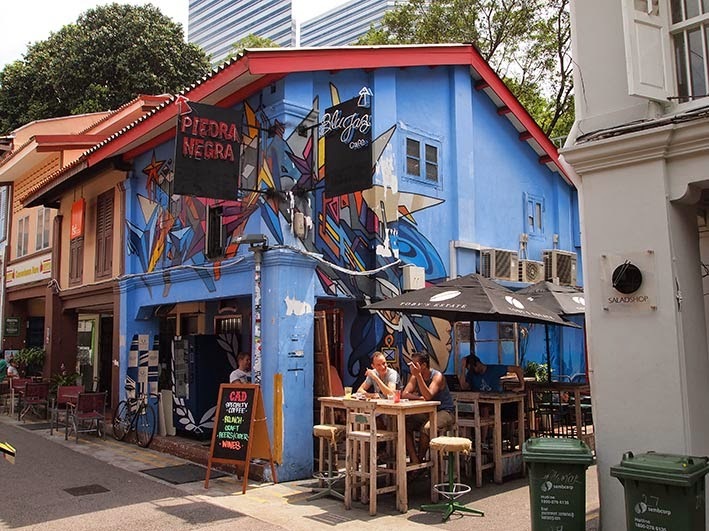 It’s the sort of scene that might be found in a garden of a loony in an English village, but rarely in Singapore. There should be more. ohhh love this sketch....go paps!